Known for her clean and luxurious style, Brenda places emphasis on the natural architectural beauty of every floral and non-floral element. Her vast floral knowledge, passion, and innate ability allows her to infuse timeless designs with modern glamour and classic elegance. Brenda's unparalleled event planning skills provides peace of mind to her clients, ensuring their complete satisfaction. Every project Brenda oversees receives her complete attention, her keen sense of style, her eye for detail, and her inventive and innovative approach - resulting in a look that is fresh, dynamic, and elegant. 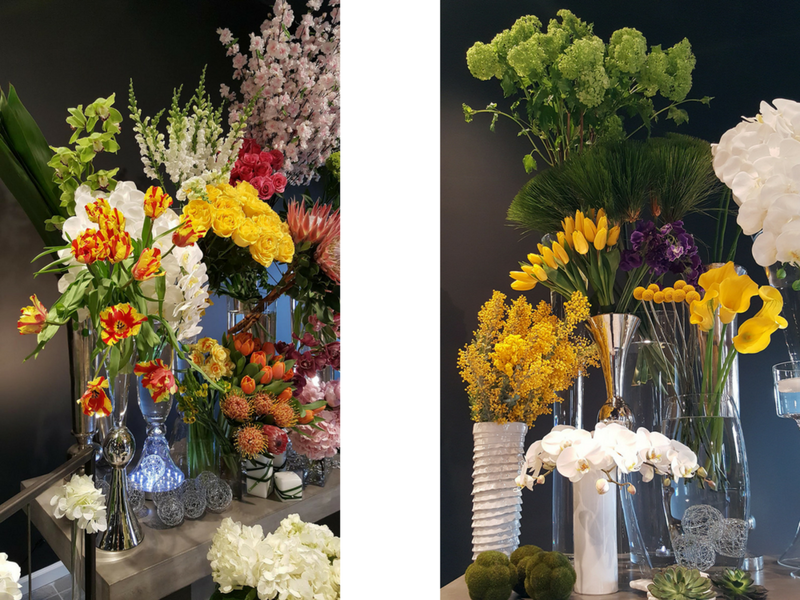 Bouquets & Beyond is a luxurious floral boutique in the historic town of Woodbury, Connecticut, serving Litchfield County. We specialize in unique, opulent designs for all seasons, including: holidays, weddings, corporate events, all occasions, permanent botanicals, and sympathy tributes. In addition to custom designs, our boutique has exceptional exotic indoor plants and gifts. We offer the finest quality seasonal floral product from around the world, as well as locally grown, when available. Do not hesitate to ask our experienced and talented design team to make recommendations to help you create the perfect gift, event, or design within your desired price point. St. Clement’s Castle, Water’s Edge, Aria, Winvian Farm, The Loading Dock, Harkness Mansion, Hopkins Vineyard, Guilford Yacht Club, The Riverhouse by Goodspeed Station, Lounsbury House, Mystic Aquarium, Copper Beech Inn, Glastonbury Hills Country Club, Palace Theater, Ann Howar‍‍‍d at the Bond, The Society Room, Simsbury 1820 House, The Riverview, Lyman Homestead, Candlewood Inn, Fox Hill Inn, The Hartford Club, Saybrook Point Inn, Farmington Club, Wadsworth Mansion, The Branford House, The Pond House, Avon Old Farms Hotel, Watertown Golf Club, Barns at Wesleyan Hills, Mattatuck Museum, The Litchfield Inn, The Gelston House, Waterview, Norwich Inn, Griswold Inn, Wood Acres Farm, Waterbury Country Club, Greenwich Hyatt, Greenwich Country Club, Inn at Villa Bianca, as well as countless private estate weddings and special events.